Naturally overtime certain parts on a car will wear down and require some basic maintenance repairs and braking systems are one of those components. Brake pads and discs are both frequently used parts of cars, with the braking system engaged on every single journey – naturally there will be times when they need some attention. However, in some cases, you wont always know that your vehicle needs a health check or repair but there are a few things that you can look out for. If you spot any of these things – you should book your vehicle in for an inspection ASAP to avoid any serious damages or accidents. One of the most common tell-tail signs that your braking system is failing or at least showing signs of wear comes down to the noises that the vehicle makes when the brakes are engaged and in use. Under normal circumstances the braking system will be silent and you would gradually come to a slow and controlled stop. However, if your brakes are making noises such as screeching, grinding or even clicking sounds when in use – there’s an issue. 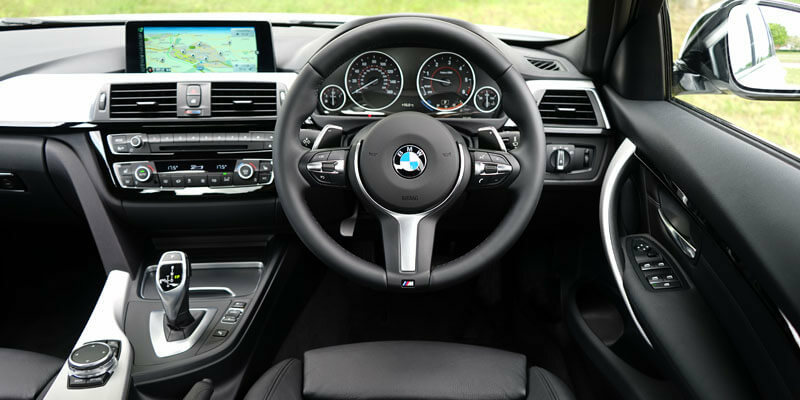 If you notice any of these noises then you’re going to want to book your car in for a diagnostic check with an independent BMW repair garage as soon as possible. Notice that the car is pulling? If your BMW is pulling to one side when you apply the footbrake then it could be an early sign of braking failure or pad wear. As you apply the brakes the car should slowly come to a controlled stop in a straight line. However, if the pads have worn down unevenly you could find that the vehicle pulls to one side as the brakes are applied. You’ll need to have these assessed by a qualified mechanic to be safe. Alternatively, if you purchased your BMW from an approved dealership and your vehicle is currently under warranty – they may be able to diagnose and repair the fault without any additional charges to you. How is the brake pedals starting position? A working brake pedal in good condition will usually sit at approximately 45 degrees without any pressure being applied. Of course, as you apply pressure the angle will change and the vehicle will start to slow down. However, if the starting position of the brake pedal is lower than 45 degrees then its best advised not to use the vehicle and arrange for a recovery vehicle to transport it to a nearby BMW approved garage for assessment and repairs. If the pedal is too low before applying pressure it could indicate that there is a fault with the braking system. You may be able to push the pedal down, but the vehicle may struggle to come to a stop, making you a danger to yourself and other road users. When you apply the footbrake, the vehicle should start to slow down in a calm and controlled manner. Sometimes if the brakes have been fitted incorrectly, or there is a fault with the braking system the vehicle could come to a sudden stop when only the smallest amount of pressure is applied. This is dangerous and needs to be seen to before a serious accident occurs. 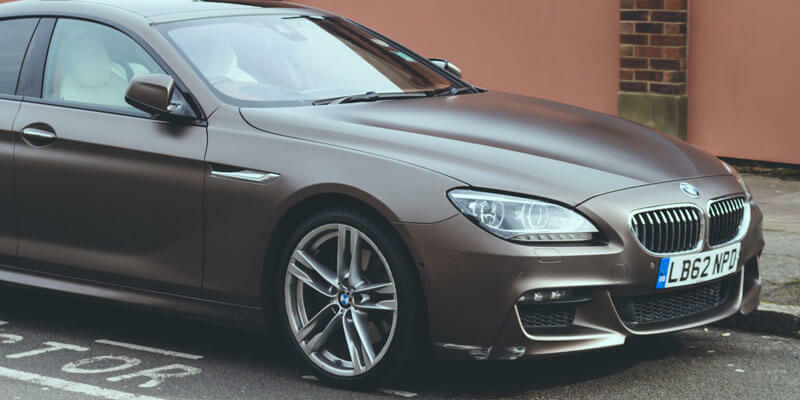 As the owner of the vehicle it is your responsibility to have this fault checked and repaired by an approved BMW repair garage in Milton Keynes to prevent short-term damages and serious collisions on the road. An easy way to spot a fault with the brakes on your BMW is to use your senses. After all, you’re the person that uses the vehicle on a daily basis so you know if there is something wrong with the running of the vehicle. You’ll know – when you apply the brake, it’s usually a smooth and relatively straightforward procedure. However, if the brakes start to vibrate when you apply them – there’s a problem. The vibrations could be a result of a fluid leak that has made its way into the braking system – most probably a brake fluid leak. You’ll need to have a technician diagnose and quote for the necessary repairs. Of course, the most obvious sign of a braking system failure is when the brake warning light appears on the dashboard. Just like any warning light appearing, you should consult your driver’s handbook and get the vehicle to an approved BMW garage immediately for diagnosis unless you’re happy to leave your car on the drive without use. Previous Post Are The Tyres On Your BMW Road Legal?